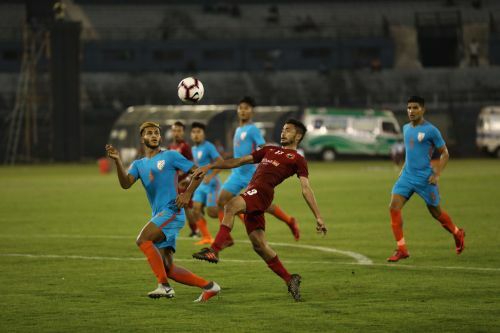 Indian Arrows got their first victory of the I-League after triumphing 1-0 over Shillong Lajong at the Barabati Stadium on Monday in an-all Indian encounter. Floyd Pinto employed his boys in a 4-3-3 formation with Rahul KP, Aniket Jadhav, and Boris Singh leading the pack. 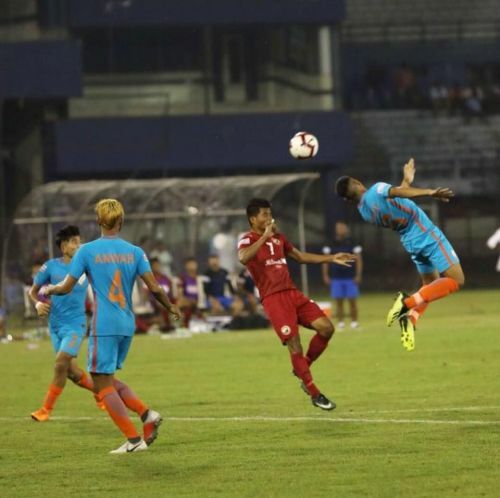 Ashish Rai and Aimol Reamsochung were given the responsibilities of marauding and defending down the left and right wings respectively, while Anwar Ali and Narender completed the back four. The midfield trio of Suresh Singh Wangjam, Amarjit Singh Kiyam, and Lalengmawia was entrusted to ensure the visitors don't get the leverage in the midfield. Shillong Lajong, on the other hand, entered the field in a 4-1-2-1-2 diamond formation with Naorem Singh and Samuel Lalmuanpuia on the front. Lalrohlua donned the defensive midfielder role covering for the full backs, Novin Gurung and Rakesh Pradhan. Phirangki Buam and Lalawmpuia Hnamte were deployed on the wider side of the pitches, and Samuel Lyngdoh played in the hole behind the strikers. As seen previously in their game against Aizawl FC and East Bengal, Shillong Lajong continued attacking from the centre of the pitch rather than going down the wings. The fullbacks Novin Gurung and Rakesh Pradhan tried to draw out the wing backs and the central midfielders in the hope of giving Buam, Hnamte, Lyngdoh, and Lalmuanpuia space in the middle. They got their first chance at the 29th minute when Lyngdoh won the ball in the middle of the park and passed it on to Mahesh. The latter lofted the ball in the former's path and he found himself in a position with only the goalkeeper to beat. However, his resultant shot got scuffed and Prabhsukhan was happy to see it through. Other than this chance, their efforts didn't produce any meaningful output. The Shillong side did try their luck from the width, but couldn't get past Aimol and Ashish.